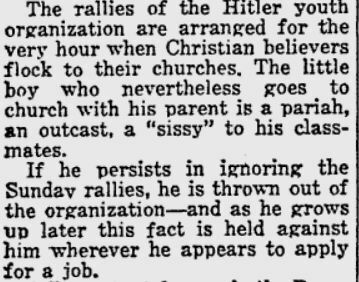 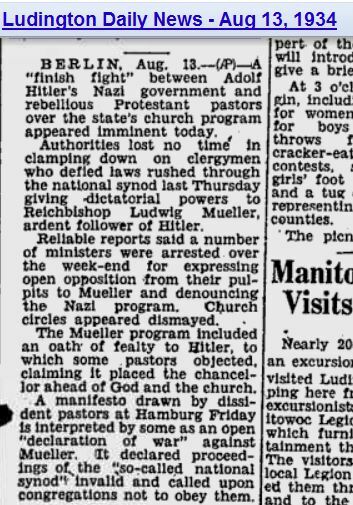 1942: the Nazis purposely arranged for the Hitler Youth to meet during the time adults would be at church? 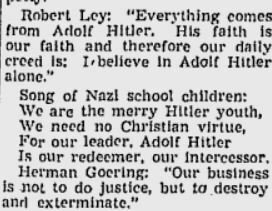 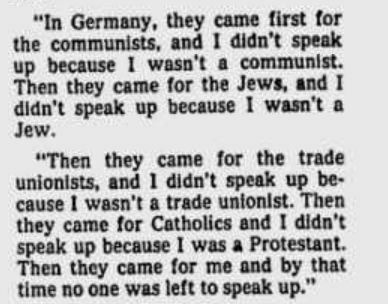 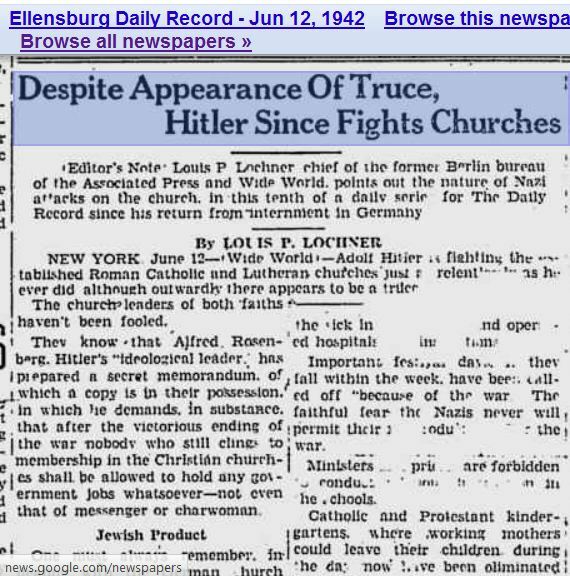 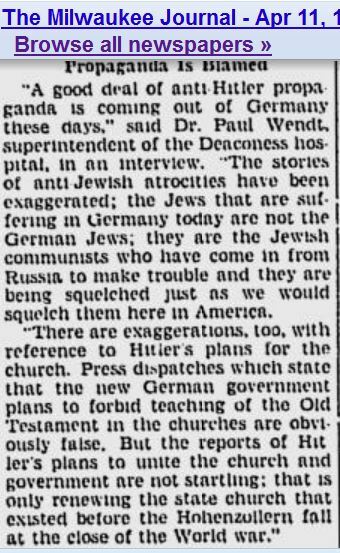 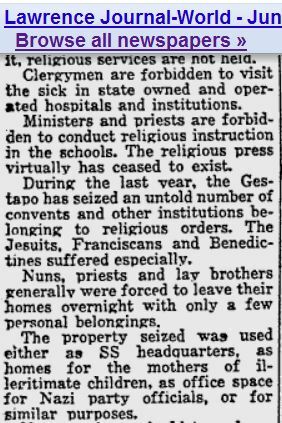 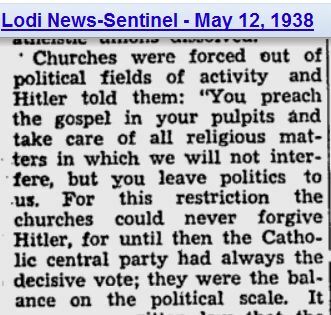 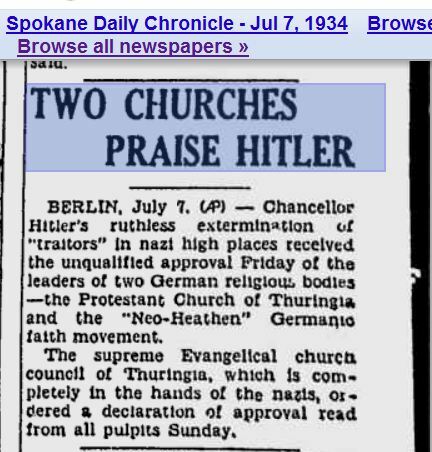 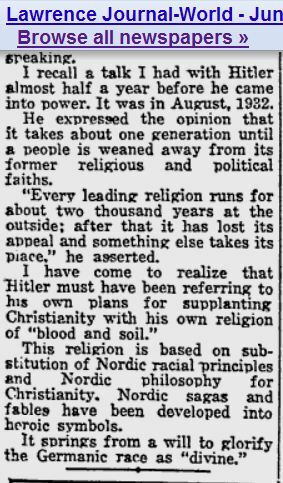 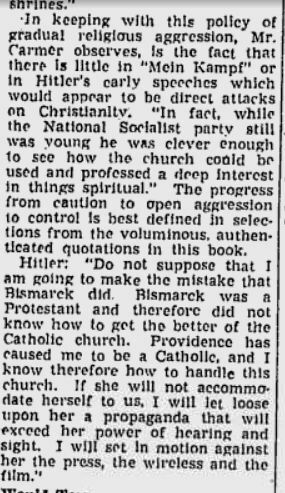 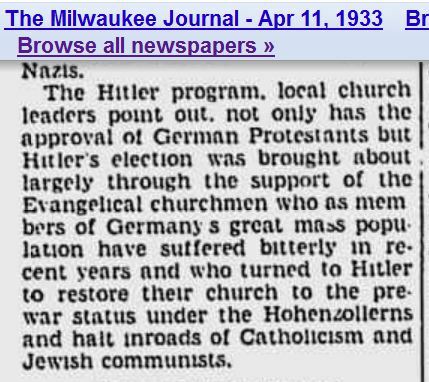 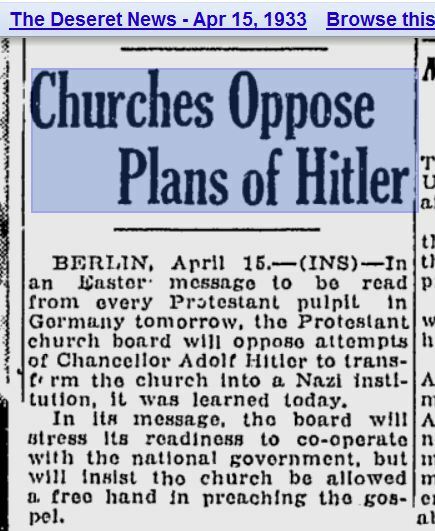 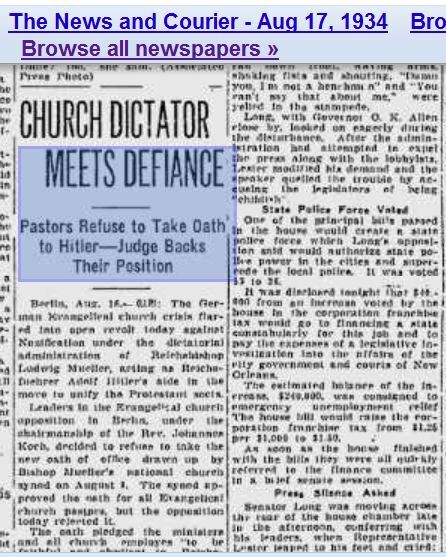 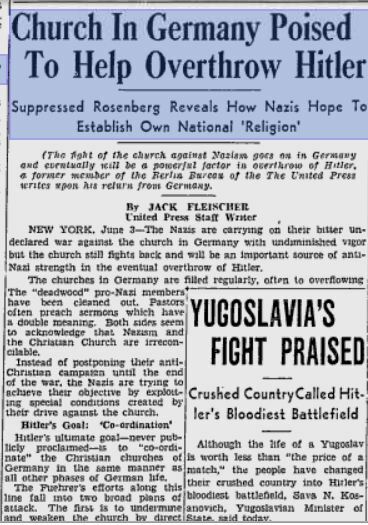 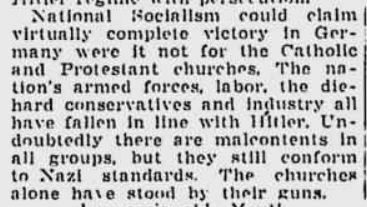 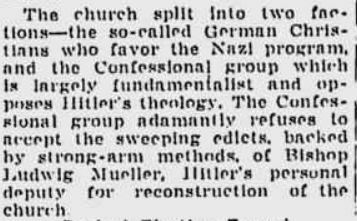 1949: Hitler “succeeded all to well in becoming lord and master in Germany and everyone shrank back in fear until he came to the Christian Church. 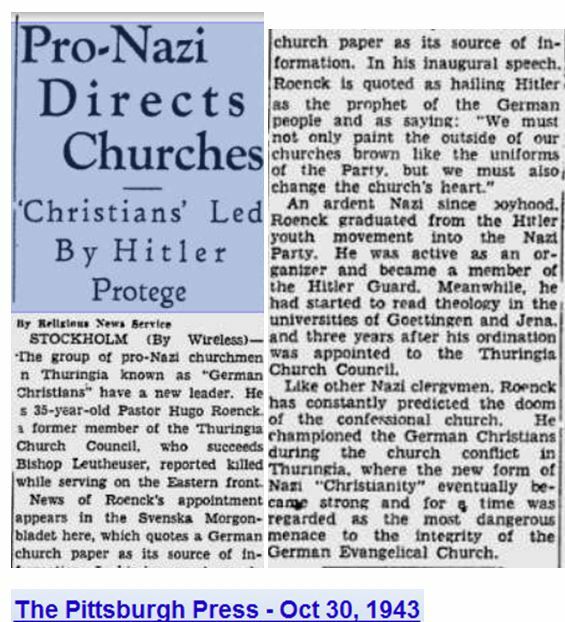 That organization had to be brought under his control like all other organizations, but suddenly he began to feel a resistance which was a riddle to him. 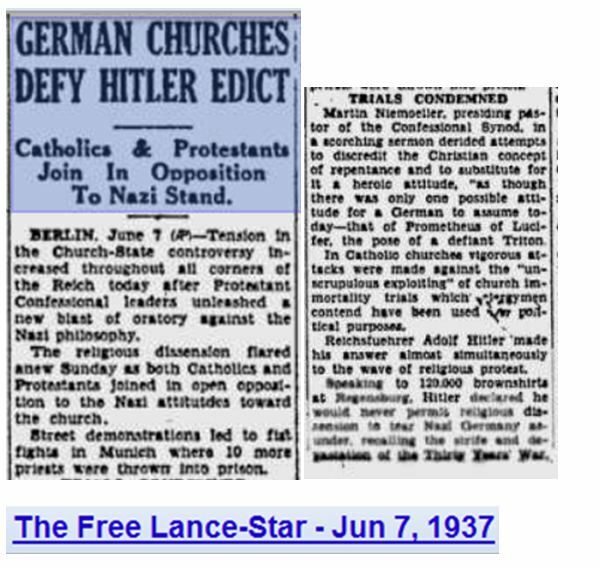 This resistance sprang from the fact that Christ is by no means a myth, from bygone days but the Lord of the Church who was raised from the dead and is the living Lord and Master. 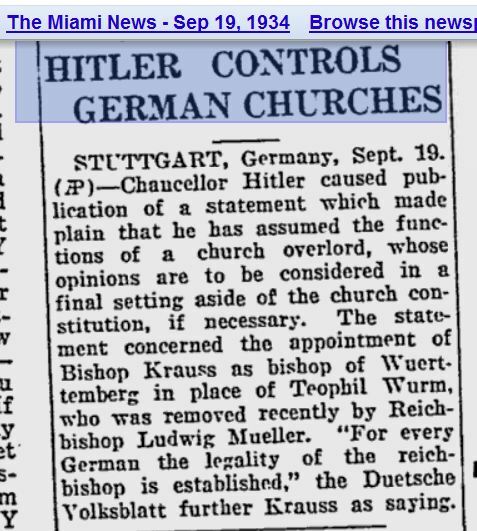 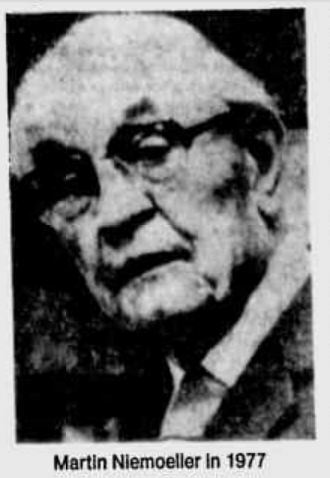 Whose Lordship is not only proclaimed but is exercised.” Hitler gave the order “Thou Shalt Kill” but the people heard the churches order “Thou shalt not kill,” Pastor Martin Niemoeller, German Pastor and concentration camp prisoner, 1949. 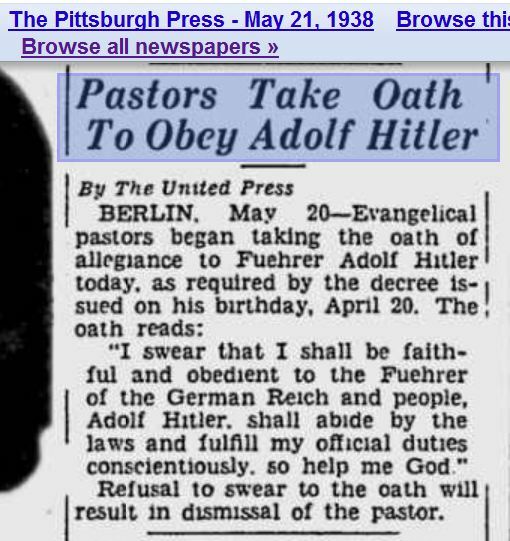 “There comes a point when you can only say yes or no and in this case: NO !” ~ German theologian Eberhard Bethege. 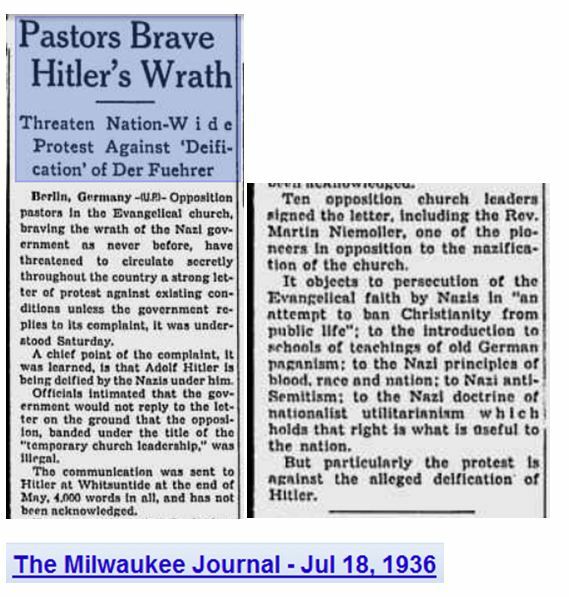 “Perhaps you can preserve your life and our children, and if you can, let them know that their father did not do nothing.” ~ Klaus Bonhoeffer to his wife Emy, 1945. 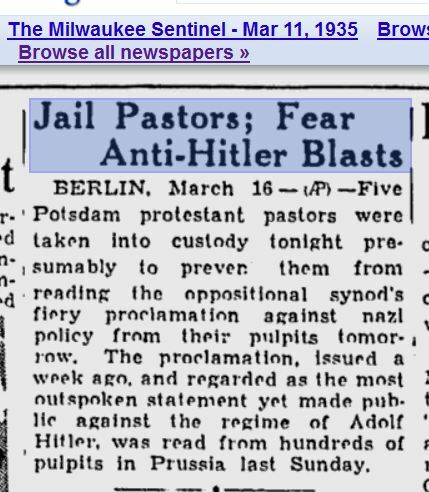 Dietrich Bonhoeffer was his brother they were both arrested in a plot to assassinate Adolf Hitler. 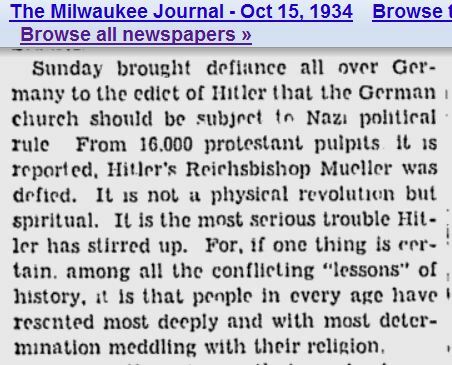 “When people know enough to know to learn more it will require some risk…then it is surprising how little people want to learn.” ~ Renate Bethge daughter of an executed Christian resister to Hitler’s Nazi regime and niece of Dietrich Bonhoeffer. 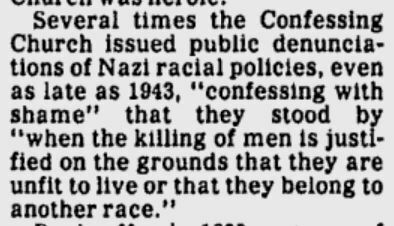 “Those who stood strongest were first to confess their own guilt for not doing more,” ~ Authur Chochrane of Dubuque Theological Seminary. 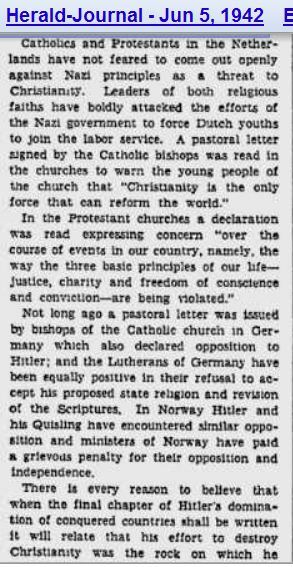 “One of the lessons of Barmen is that there is a time and a place when Christians are not only entitled but obligated to resist criminal governments and to resist immoral actions by legitimate governments.” ~ Franklin Littell of Temple University.